My husband and I go to counseling. Yes, you read that right. Counseling. There are several reasons why we go. In today’s blog post, I will share the reasons. I am stating the obvious here but it is a great reminder. As humans, we are selfish. Too often we focus on ourselves and don’t think of our spouse. God’s design for marriage is to honor one another. As we continue to grow in this, counseling helps us to see areas in our own lives that we can work on so we can be a blessing to our spouse and others. Another reason we go is that we need an outside perspective. Too often we can’t see the problem that is right in front of us. Our counselor can see both our sides in a situation and help us to see what the other is thinking. Our counselor also helps us to see another perspective to an issue that we had not seen before. Again, I am stating the obvious here but because we are parents to four wonderful and very different children, we need all the insight we can get. 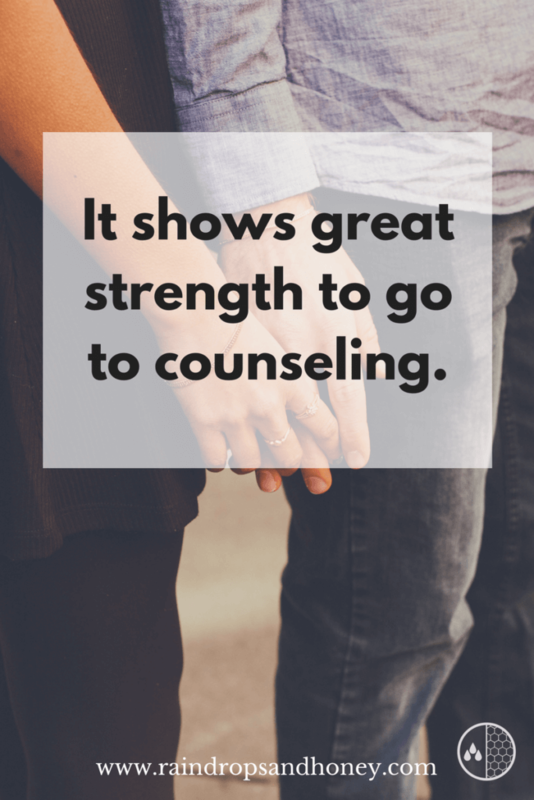 Our counselor provides a sounding board for us as we process issues with our kids. She also reminds us to hang in there. One other reason we go is that we don’t want to do life alone. Honestly, I see counseling as a strength. It’s admitting we need help and want to grow. Jonathan and I have and will continue to run into problems in our marriage and parenting. We need support from friends and family. And we also need a person outside of our circle who is a professional and can help us tackle the issues of marriage and parenting. Counseling really is a gift. And as I mentioned earlier, it shows great strength to go. My husband and I are both still selfish humans. We need an outside perspective because sometimes we can’t see what is right in front of us. As parents, counseling is also a blessing to gain more insight. Do you go to counseling? If so, what has been your biggest takeaway? If not, what is stopping you from going to counseling? Please share in the comments below. I think counseling is a great tool! I am single and love my Christian counselor and hope someday the man God puts in my life will be willing to go with me. I find it a great tool to have someone to who just listens to your problems, worries, and emotions who can give a completely unbiased and professional opinion! She will have thoughts and ideas I have never thought of on topics I am struggling with and those bits of insight help me get me back in track! This is a gift God has given to these people! ← 3 Things I Learned from Calm, Cool, and Connected + A Giveaway!